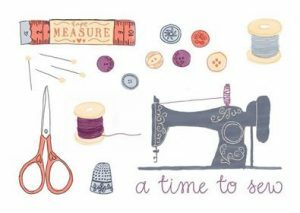 A new sewing group has started up in the village for like minded sewing folk to meet up 2 or 3 times a month at the Methodist Hall on Corby Road, Cottingham – including on a Saturday. Bring along your sewing machine, overlocker, sewing project and an extension lead. Help and advice is on hand for you, whatever your sewing level. The next meeting is on Tuesday 1 May, from 9.30am to 3.30pm. Keep an eye on this website and the village Facebook page for future dates.